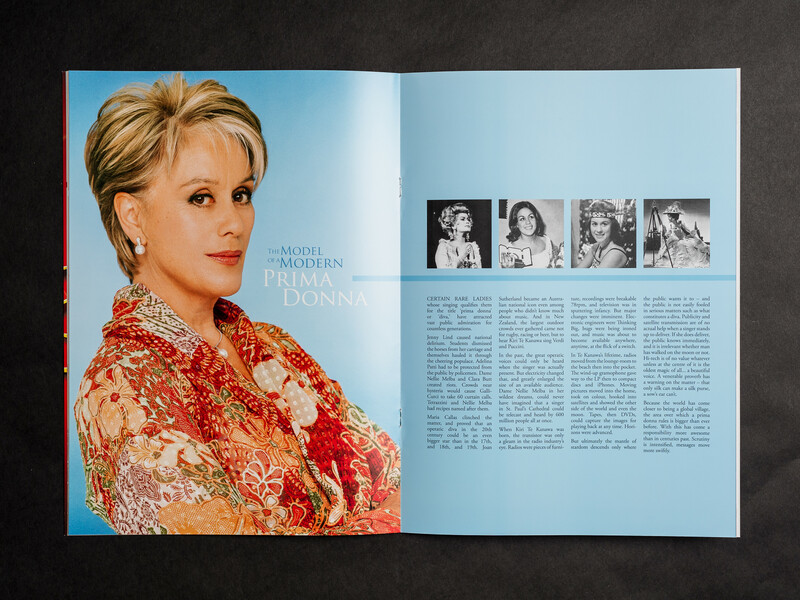 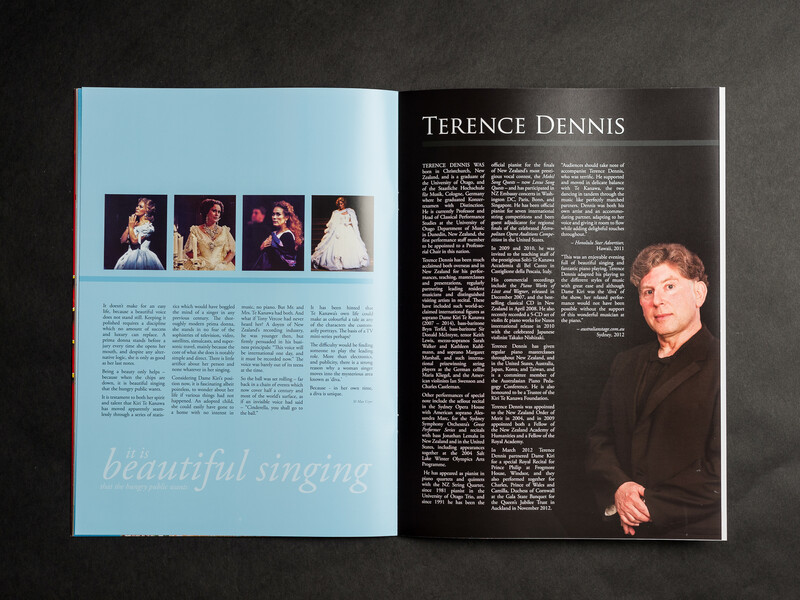 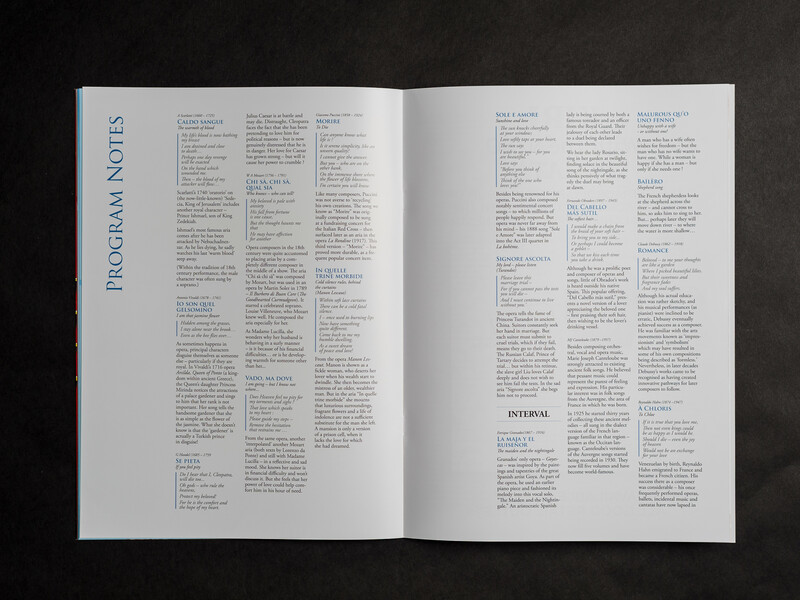 A souvenir program to commemorate Dame Kiri Te Kanawa's 70th Birthday Gala Tour. 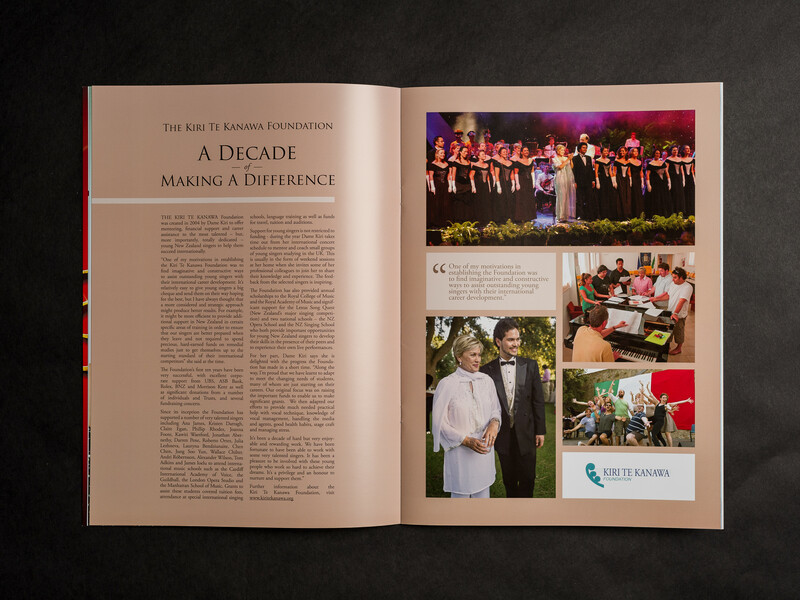 The challange in this project was to create something fresh and new, from photographs and copy which had largely been used in previous programs. 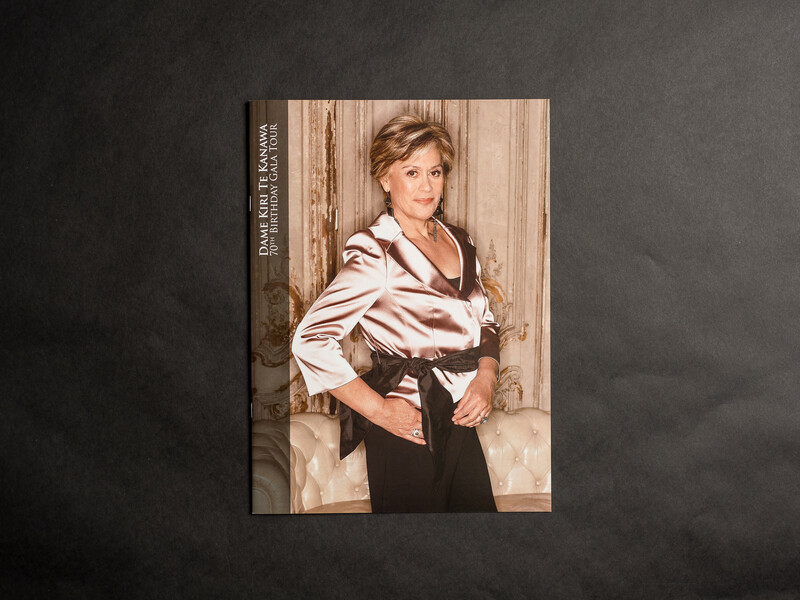 Rather than attempt to "improve" the photos with Photoshop trickery (as had been done in previous years), I opted instead to remove all tricks and let the photographs speak for themselves.